'the river in a glow of rare transparency an hour before sunset, he was inspired to begin a picture & rushed upstairs to his studio, carrying an easel & brushes, soon I was helping by bringing the several tubes of paint he pointed out that he should use & I so fascinated I hung over his magic touches til the bright moon faced us from the window and I exclaimed oh Jemie dear it is yet light enough for you to see to make this a moonlight picture of the Thames. 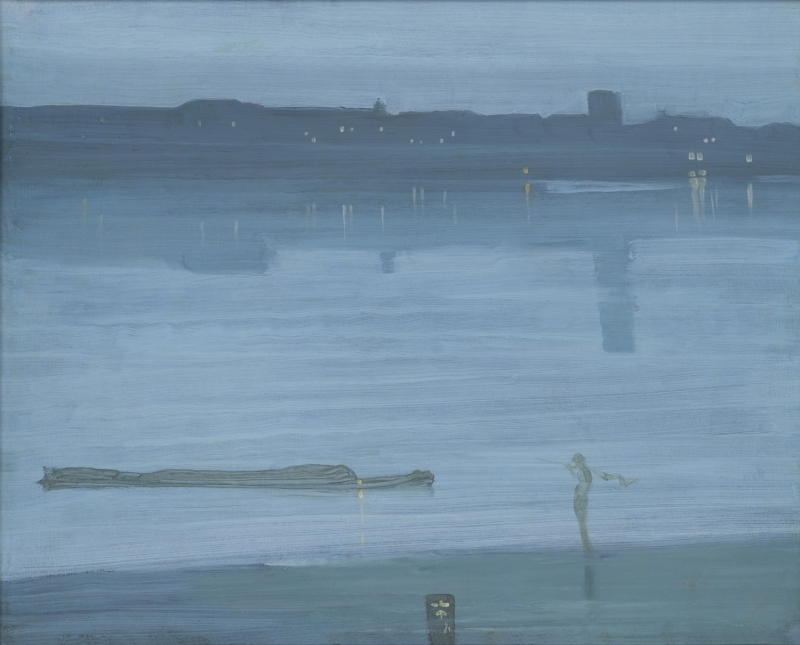 The 'Moonlight' described by Mrs Whistler was exhibited in London at the Dudley Gallery in 1871 (cat. no. 265) as 'Harmony in Blue-Green - Moonlight' and is considered to have been Nocturne: Blue and Silver - Chelsea [YMSM 103]. The other picture was Variations in Violet and Green [YMSM 104]. 1: YMSM 1980 [more] (cat. no. 103). 2: A. M. Whistler to C. J. Palmer, 3-4 November 1871, GUW #10071.